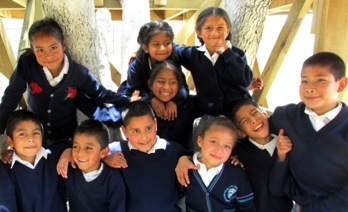 Our goal is to support and encourage the work of our brothers and sisters in Christ in the country of Guatemala and to support the ministries of their churches, giving special emphasis to helping with the ministries of their school programs. We strive to demonstrate the love of Christ through works of service to these churches as well as to other Christian missions and missionaries in the country of Guatemala as we have opportunity - to be God's "hands and feet" and His servants to His children in Guatemala. Why Guatemala? Why should we help? 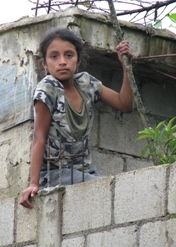 Guatemala is still suffering from poverty and violence left over from their bloody civil war which ended in 1996, leaving nearly 300,000 people dead. 56% of the population lives in severe poverty and 50% of the children suffer from chronic malnutrition. 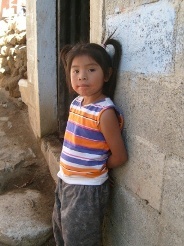 Over 7% of Guatemalan children will die before their 5th birthday. 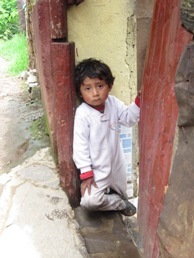 Just a little over half the children in Guatemala attend school. His Hands for Guatemala has partnered with Pastor Merari Rodriguez of Iglesia Evangelica Galilea in San Lucas, Sacatepequez to help bring hope to the children of Guatemala through child sponsorship. Working with Pastor Mario Mendez of Magdelena, Pastor Merari and his wife, Lucky, are starting the Fuente de Esperanza (Source of Hope) school program in the small colony of El Membrillal in the mountains of Guatemala. For a monthly fee of just $35.00 you can sponsor a needy Guatemalan child. Your sponsorship will help send them to school and help change their life! 100% of your sponsorship payment goes to the child in need and to the school, none of it goes toward the administrative expenses of this program. For more information, please visit our Sponsorship page or contact us.